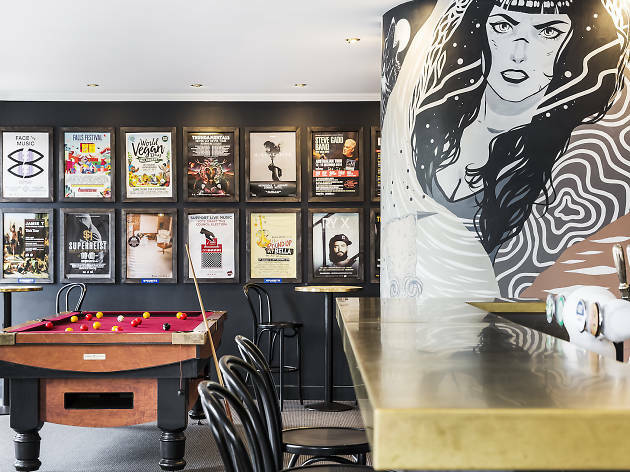 Situated in South Melbourne, this sleek pub serves up classic meals in a stylish, contemporary dining space. The Golden Fleece’s menu is divided into different sections. If you’re after a hearty meal then choose from the ever popular ‘Pub Classics’ line-up, but if you’re after something lighter or want some nibbles to go with your drink then the tapas menu might be more your speed. Alternatively you can pick from the a la carte menu but make sure you pace yourself to make room for the dessert selection. 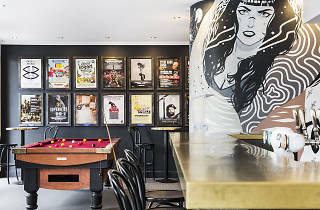 Head upstairs and you’ll find a treasure trove of classic and new release pinball machines, proving that arcade games and beer are a match made in pub heaven. You can also join the Argonauts Pinball Club to stay up to date on the latest machines available as well as local events and competitions. The Golden Fleece also has a function room that can be hired for parties or events and features a projector, wireless microphone and a private bar with a view of the city. There are a number of catering menus to choose from including canapes, barbeque as well as a comprehensive all day set menu that covers morning tea to dessert.